Indeed, as the Corn Belt continues to move northward — corn is now a major cash crop in many areas of North Dakota — so tender sales have risen there. Dealers updating fleets has also been a major boon for Simonsen. Multiple unit sales were common last year and accounted for a substantial percentage of overall purchases. Michael Tibbett, sales manager with Adams Fertilizer Equipment, says that while many people complain about the poor condition of the U.S economy, problems don’t extend to all markets. Better prices on ag commodities plus the simple need for food are helping make the ag market strong, he says. “Fertilizer has to go down whether it’s at $300 a ton or $1,000 a ton. And dealers have got to have equipment like tenders, whether they’re the ‘Converse’ or ‘Air Jordan’ units,” says Tibbett. Ron Lager, sales manager with Precision Tank & Equipment (PT&E) describes the benefits for the liquid fertilizer segment as well, as the company has quoted a lot of nurse tanks this past fall. He says dealers are more likely to order dual compartments and 4-inch plumbing for added flexibility and increased speed. 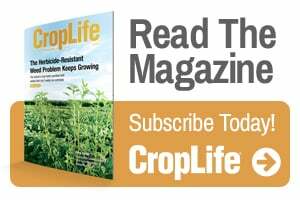 “We think that as more and more ‘super-plants’ are being built we will see the need for bigger tanks, more of the 4,000- and 5,000-gallon varieties. And dealers are starting to use more tag axles to gain the extra capacity while still being in compliance,” he says. Lager has also seen quite a few customers seriously considering flush tanks and dual compartment tanks with stainless plumbing. Tender size is a major selling point. Joe Funkhouser, president of Davis Equipment Corp., Johnston, IA, reports seeing brisk sales of the larger units — in the 18- to 25-ton range. Moen also says AGCO/Willmar tenders, especially the larger units, are seeing a lot of movement and demand for them is high. He feels these are the “Cadillacs” among tender products. KBH’s 25-Ton Fertilizer Auger Trailer has one of the market’s largest capacity hoppers, with 6-inch trailer hoppers that hold 3 or 4 more tons than other 30-foot trailers, says Tim Tenhet, director of sales at KBH Corp. For 2012 KBH will be offering custom-length trailers to enable customers to maximize legal payloads. And the company’s customers will soon enjoy custom lease-to-own payment terms. For large loads Adams Fertilizer Equipment introduced the 24-ton M3-SA trailer tender last summer. It features a new three-hopper module design, and each of the compartments carries 8 tons, with a total unit capacity of 775 cubic feet and rig length of 32 feet. Tenhet says two other features that have really captured buyer interest recently are user friendliness coupled with low maintenance. Drivers like units that are easy to operate and take care of. For instance in 2010, the company began offering hydraulic clean-out on the underside of units at the request of buyers. Hays Liquid Transport Inc. has introduced a tender designed to answer its customers’ requests for a more user-friendly rig. The Hays Tender has hydraulic operated main doors and clean-out doors, hydraulic vibrators, front and rear ladders, and an easy to use tarp system. Ronald Hays, company president, says the unit was engineered for easy upkeep as well, with covered hydraulic hoses, a covered air tank, and stainless steel augers and bearings. Also kept in mind was the overall weight of the trailer, to allow for maximum payload. “When the time comes for the unit to be refurbished, it was designed for easy disassemble and reassemble with an integrated hopper cradle and trailer assembly,” says Hays. He adds that sales of the tender over the three years since its introduction have been “fantastic,” thanks in great part to word of mouth. Stainless steel is also becoming the metal of choice. “Everyone wants aluminum and stainless steel,” says Moen. They want equipment that will last, and they’re willing to pay for it. Eakins also says that longer augers are becoming more popular, because of their ability to reach over the taller applicators. And multiple compartments continue to be a selling point. Ray-Man’s Charger II-SF has truck mount boxes that are custom built, in sizes from 12-foot to 24-foot with multiple compartments. 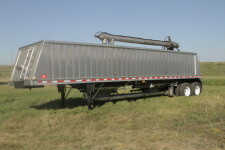 Its semi-trailers are built from 30-foot to 42-foot with up to seven individual hopper bins. Tenders that can be used beyond the fertilizer season are the next step for some companies. Simonsen is teaming up with other manufacturers to bring a new concept in tender design to the market for 2012. Named the “Trailer,” it’s a year-round, multi-purpose top auger tender/grain tender. Its patent-pending design is built by Owen Industries and distributed by Simonsen Industries and will be available for spring 2012 in limited supply, with production ramped up for 2013. Some of the Trailer’s features include a 10 x 13 x10 auger system, 304 stainless steel tubes, 409 stainless steel flighting, heavy hydraulic dual circuit system, and a 20-foot delivery auger with 180-degree rotation. The Trailer utilizes a new 40-foot Neville grain trailer as its foundation. Timpte now offers a 40-foot Auger Tender Combo Trailer with a removable auger system that can be used year round by for seed or fertilizer bulk delivery. After the seed and fertilizer application season is over, the auger system can be easily removed in about one hour and stored. The grain hopper trailer then becomes a standard hopper trailer for every day service that maximizes equipment utilization.